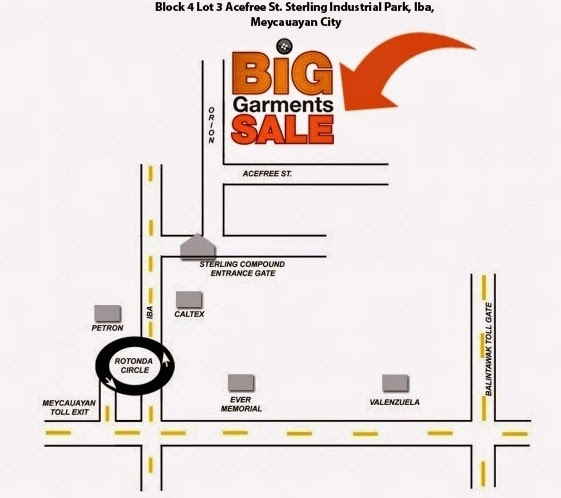 Find the perfect gifts at The Big Garments Sale - Shop for Christmas at up to 90% OFF on November 30 to December 3, 2017 (Thursday to Sunday) from 8am to 6pm at Block 4 Lot 3 Acefree St. Sterling Industrial Park, Iba, Meycauayan, Bulacan! 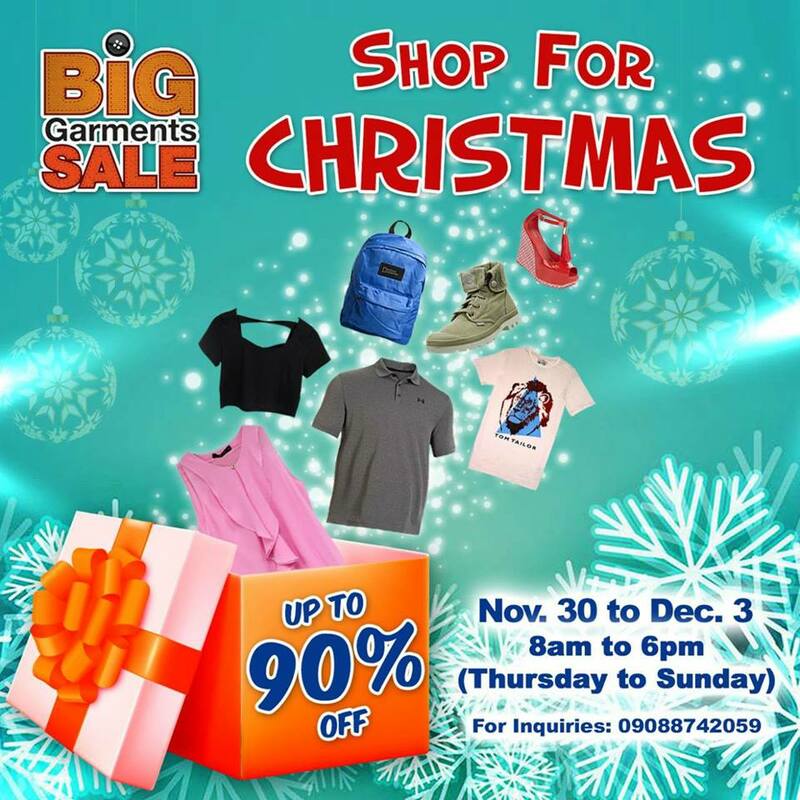 Great Brands, Great Discounts! 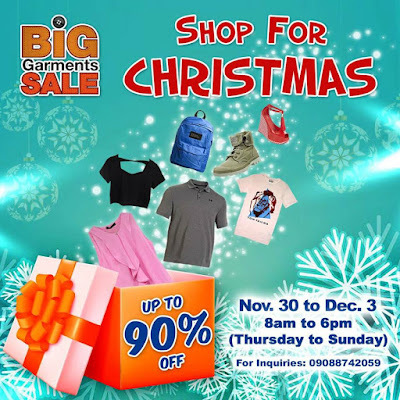 Get up to 90% Off on your favorite brands like PUMA, Melissa, Mel, Superdry, CK, Supreme Being, Tommy, Palladium, F21, H&M, Under Armour, Conwood, Adidas Body and many more!